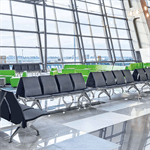 Not too surprisingly, user comfort is a key consideration with our airport seat solutions. So you’ll be pleased to hear that our ergonomically designed seating is as easy on the body as it is on the eye. 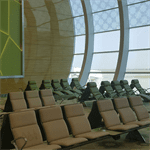 Making it the ideal choice where people need somewhere comfortable to wait.